This absolutely magnificent bowl was made by Michael Hunter for Twists Glass in 2014. 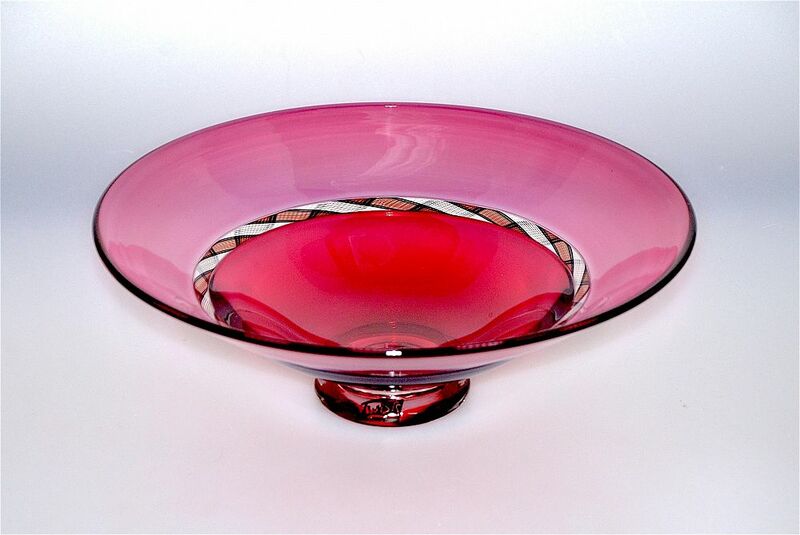 The round clear foot supports a concave bowl that has three incalmo layers. the top inclamo layer is in pale red and the bottom layer is in deep red. Sandwiched between and separating the top and bottom incalmo layers is a red white and black torsade cane that has been extremely skilfully constructed. The underside of the foot is scratch signed "M Hunter Twists 14 Torsade" and has the Twists Glass studio label. The beauty of this bowl is in its simplicity.